The Association of Public Land-grant Universities is a research, policy, and advocacy organization representing 238 public research universities and land-grant institutions. 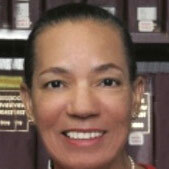 Dr. Gray-Little has been chancellor of the University of Kansas since 2009. Asa T. Spaulding Jr. was the former president of Barber-Scotia College in Concord, North Carolina, university lecturer, and served as a member of the University of North Carolina Board of Governors. Will the University of North Carolina Rename a Building That Honors a KKK Leader? In 1922 the university named its new history department building in honor of William Lawrence Saunders. A colonel in the Confederate Army, Saunders is said to have been a major figure in the Ku Klux Klan after the war. A group calling itself Students for Fair Admissions has filed federal civil rights lawsuits claiming that both institutions have practiced racial discrimination in their undergraduate admissions policies and procedures. A new study by researchers at the University of North Carolina at Chapel Hill and the University of Washington finds that “active learning” techniques in science courses in college classrooms help all students, but have particular benefits for African Americans. The Howard Hughes Medical Institute is allocating $7.75 million in an effort to replicate the success of the Meyerhoff Scholars program at the University of Maryland Baltimore County at Pennsylvania State University and the University of North Carolina at Chapel Hill. The Project for Fair Representation has set up three websites seeking individuals who believe they were rejected for admission at three universities due to affirmative action or so-called reverse discrimination. The study found that children raised in poverty tend to have lower rates of development in two key areas of the brain. The Black poverty rate is three times the rate for non-Hispanic Whites. The five state-operated HBCUs in North Carolina are permitted to enroll no more than 18 percent of new first-year students from outside the state. The new proposal would allow these schools to enroll up to 30 percent of their new students from outside North Carolina. The results showed that on average, African American men began treatment seven days later than White men after they had been diagnosed with prostate cancer. For men with aggressive or high risk prostate cancer, Black men began treatment nine days later than White men. 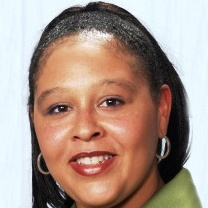 Rosalind Fuse-Hall is the former chief of staff to the president of Florida A&M University and previously was executive assistant to the chancellor of North Carolina Central University. A former judge of the North Carolina Court of Appeals, he has been teaching at the law schools of Duke University and the University of North Carolina at Chapel Hill. Many of the allegations involve former department chairman Julius Nyang’oro, who is retiring from the university as of July 1. A new study by Wizdom Powell Hammond of the University of North Carolina at Chapel Hill, finds that Black men who hold back their emotions when confronted with racial discrimination are more likely to become depressed. The University of North Carolina senior will spend a year in Asia gaining knowledge of juvenile rights in that region. Tricia Bent-Goodley, Unoma Azuah, Amos Sawyer, and Bernadette Gray-Little received honors for their work. Early results show that children who are given the vaccine are far less likely to get malaria. The conference, entitled Building a Bridge to Literacy for African-American Male Youth, will be held this spring on the campus of the University of North Carolina.